Beautiful sort of a burnt sugar color - very lovely and light. 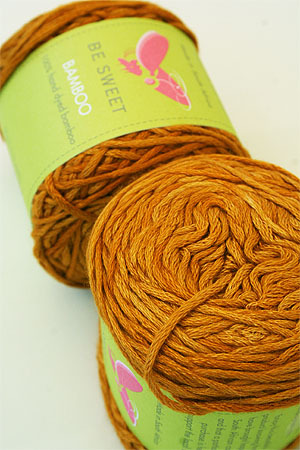 Bamboo is a lovely fiber - airy and breathable, wicks moisture, and is a great alternative to silk. The yarn is in a chainette form, so it doesn't break or split when knitting.